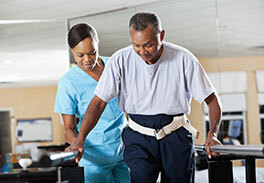 Orthopaedic physical therapy involves the rehabilitation of an injured bone, muscle, tendon, ligament, joint, or limb, while occupational therapy helps patients reduce strain on the affected area during their everyday activities. The injury may have been acute (the result of one incident) or chronic (long-term). The patient may begin therapy as definitive treatment for a specific musculoskeletal disorder or to rehabilitate after a surgical procedure. Physical and occupational therapy programs are tailored to each patient with the goals of relieving pain and restoring maximum function to the injured area. Stretching and strengthening exercises are critical. Improvement is sought in strength, flexibility, mobility, coordination, posture, balance, gait, cardio-pulmonary health, and pain. 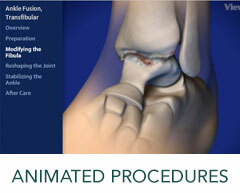 The first step is an evaluation of the patient to determine any specific problems and/or deficits. Then, a treatment plan is developed based on the findings. Treatment may include an individualized exercise program, posture/ambulation training and manual therapies such as joint mobilizations, taping techniques, trans-friction massage, and deep tissue release (i.e. Hawk Grips Technique). Treatment may also include manual traction, manual stretching, and drainage massage. A variety of modalities such as whirlpools, paraffin bath, ultrasound, electrical stimulation, heat and cold applications, iontophoresis (trans-dermal cortisone treatment) and mechanical traction may also be used. Aquatic Therapy may be suggested and is available at our Forsgate facility. All of our 19 physical and occupational therapists along with 5 Physical Therapy Assistants, are experienced and fully licensed, and our practice does not rely on physical therapy aides or ancillary care for therapy. Many have advanced degrees in physical therapy or occupational therapy. To learn more about our Physical and Occupational Therapy Facilities, please contact us today to schedule an appointment!